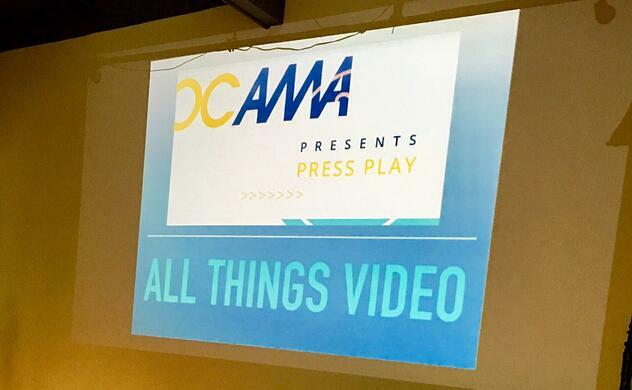 The Future of Video: Recap of OCAMA Event "Press Play All Things Video"
It seems everywhere you go on the internet you can't seem to escape video. It's in our Facebook feed, Vine, Twitter feed, and if you read my last blog post, SnapChat and Instagram Stories are all in. People are using YouTube more than ever, because guess what? Video is hot, it's happening and it's the future of marketing. The presenters and panel at the "OCAMA Press Play: All Things Video Event" without doubt, agree. Kulture Konnect refused to miss this event for the mere fact we want to understand the power and strategy of video content. If you are a business owner or even in the marketing industry I suggest you get out there and attend these types of events. This is a wonderful opportunity to network with other industry insiders, exchange business cards and be up to date with tactics and trends such as video. Looking around the room everyone was intrigued. Everyone was either asking questions, recording video, taking photos and jotting down notes. We were a room hungry for information, knowledge and answers. It was obvious that video had made an impact on marketing and everyone knew it. The best part, not one, but several speakers didn't mind sharing video secrets. Presenters included Jim Riley (Founder, CEO) of Azunia Tequila, Mark Ortiz (Marketing Manager) from Honda and Jayson Duncan (Chief Storyteller) of Miller Farm Media. The panel consisted of Stu White and Huw Davies founders of HDX Fit along with Patty Mitchell (Director of Social Media) from Newport Dunes. Blue C, which partnered with OCAMA to host the event, discussed future predictions of where video is headed. No one was short of a message and each speaker brought something valuable to the table. 1.) Jim Riley (Founder, CEO Azunia Tequila) - Think budget, tradition and authenticity is key. 2.) Mark Ortiz (Marketing Manager, Honda) - He also emphasized on authenticity being extremely important for your brand as you want to avoid pretending to be something you are not. When recording a video consider site, sound and motion. 3.) Jayson Duncan - Create videos that make people feel. 4.) Stu White and Huw Davies - Interact and make your consumers feel special. 5.) Patty Mitchell (Director of Social Media, Newport Dunes) - When shooting a video at an event: show your consumers what they are missing and ask guests a few fun questions. 1.) Future of the internet is television - I mean, they make a valid point! Take a look around! Majority of the people you personally know own a streaming channel such as: Roku, Netflix, Apple TV, Hulu, Amazon TV, Firestick, etc., or simply a TV with television apps. 2.) Every company will become a media company - You hear that? This means media will cross all departments and not only be a function of the marketing department. 3.) Every employee will become a content producer - One of their most interesting predictons yet suggested that social media playbooks and HR employee content agreements will be requirement. 4.) Forward thinking companies will employ a Director or VP of video strategy - That's right! You are looking at a department of it's own. 5.) Sales team will crave video resources - Not only will Google be your best friend when it comes to research, but video will be apart of investigating marketing. 6.) Marketers will be able to reach audiences in living rooms - For example, via mobile, laptop and smart TV. 7.) Content relevant video will find your prospects - Media planning will drive the creative process. 8.) Video data will be integrated across the organization - views, shares, social likes, integration, learning, re-purpose, experience, sales funnel, media distribution. There you have it! Video isn't going anywhere anytime soon. 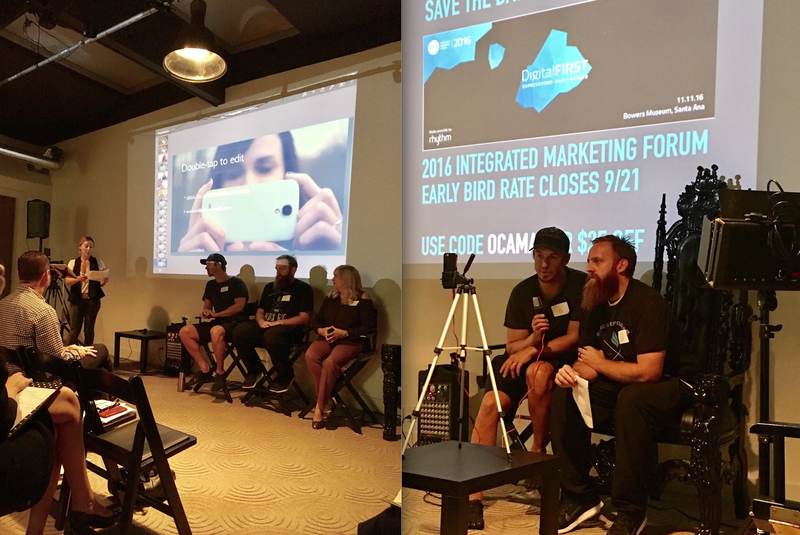 The OCAMA event proved just that! If you haven't attended a OCAMA event yet, sign up! Because you are missing out on some great marketing insight that could help your business! Are you seeking marketing professionals for your business? Allow us to take time off your hands and handle the rest! Contact us here for more information here. Learn more about the industries we have experience in here. Everything you need to know to hire the perfect design studio for your business with this free checklist below!